I am in the team of experts who will curate the Venice Architecture Biennale 2018!. Thanks to Atxu Aman for making me a participant in becoming. becoming is the name given to the exhibition proposal for 2018. 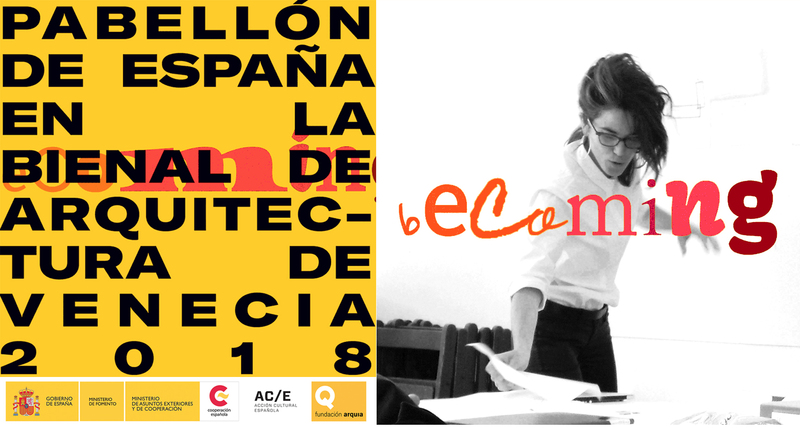 Located among learning environments of Architecture and continuing with the appropriate and temporary character of the previous Spanish pavilion Unfinished, becoming makes an allusion to a vector of the future, with a common educational background in the “Escuela”, which extends to other learning experiences in space and time, in dialogue with other disciplines.